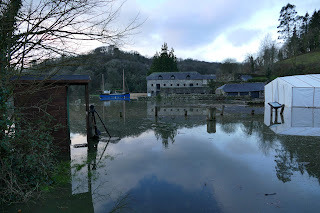 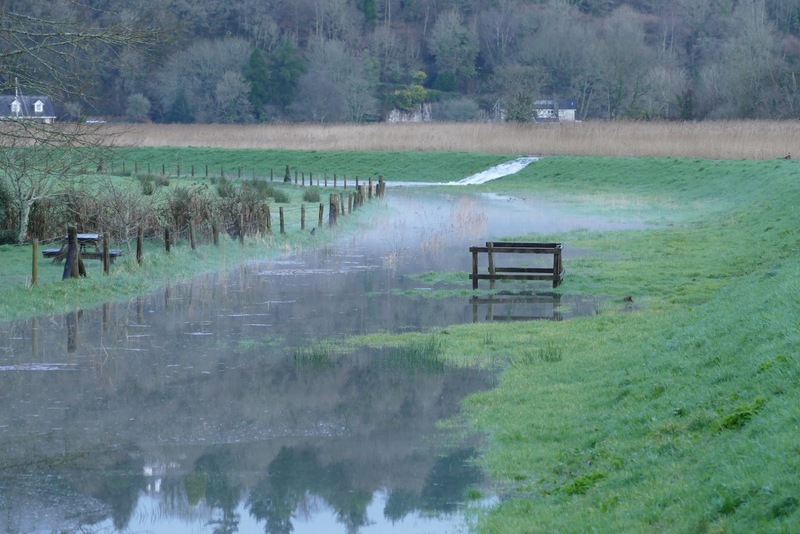 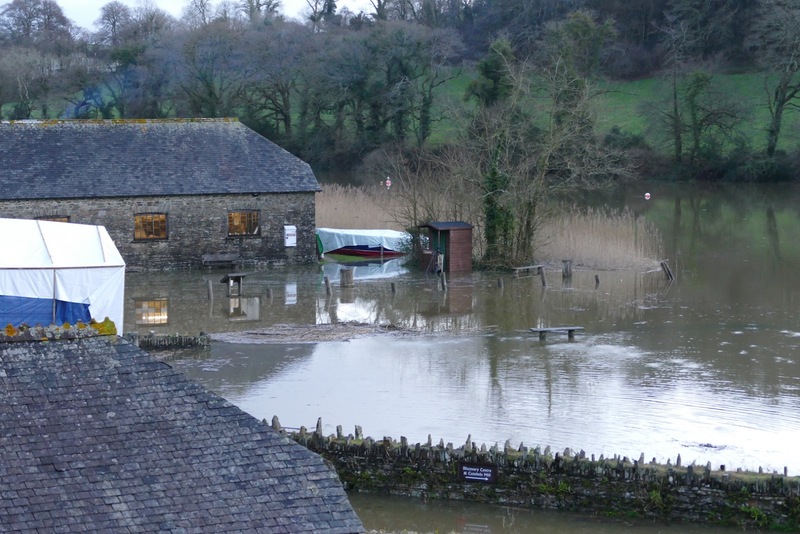 With the first week in January bringing a combination of heavy rain, low pressure, gales and spring tides Cotehele Quay has seen the river flood the quay more than once in the week giving Shamrock's boat shed the appearance of being surrounded by a moat. 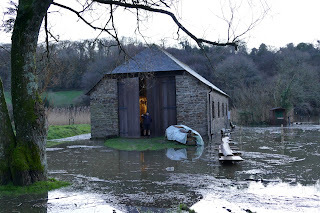 Access to the boat shed required wellingtons or waders but at least it remained dry. 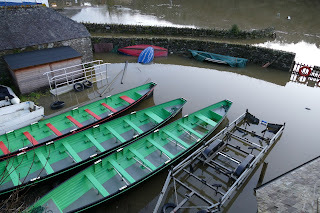 Shaune waiting for the tide to drop. View from the rear of the boat shed. 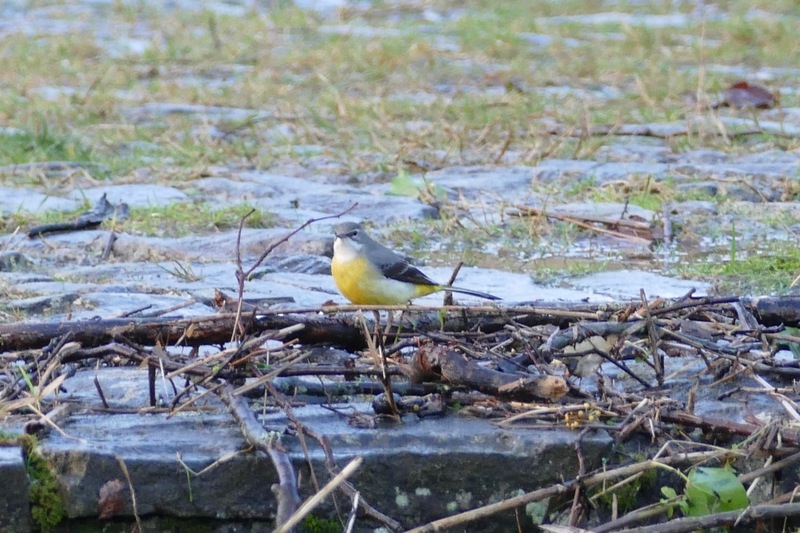 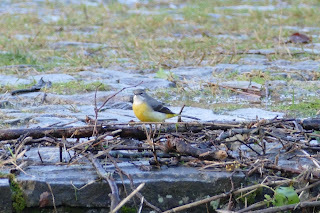 Grey wagtail checking the detritus.